2018 was good, but 2019 could be even better! 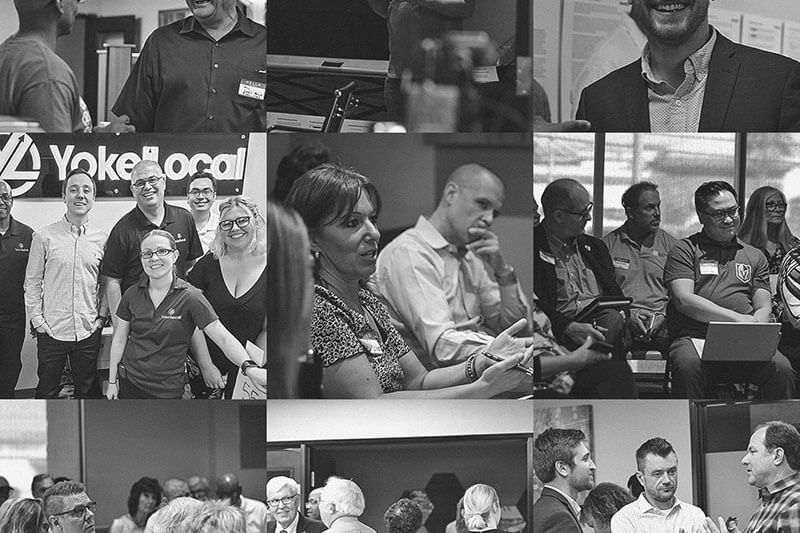 2018 was a massive year for Yokel Local, filled with tremendous achievements and growth, and we are excited to share them with you. The year started with a significant shift in space, literally. We moved locations! When we began Yokel Local, the original office was perfect for our small team, but over seven years, we were stretching the limits of the space. With our expanding team and new projects, our old office was not cutting it anymore. The former office served us well, and we made great memories there, but we couldn't be more excited about getting a new space. 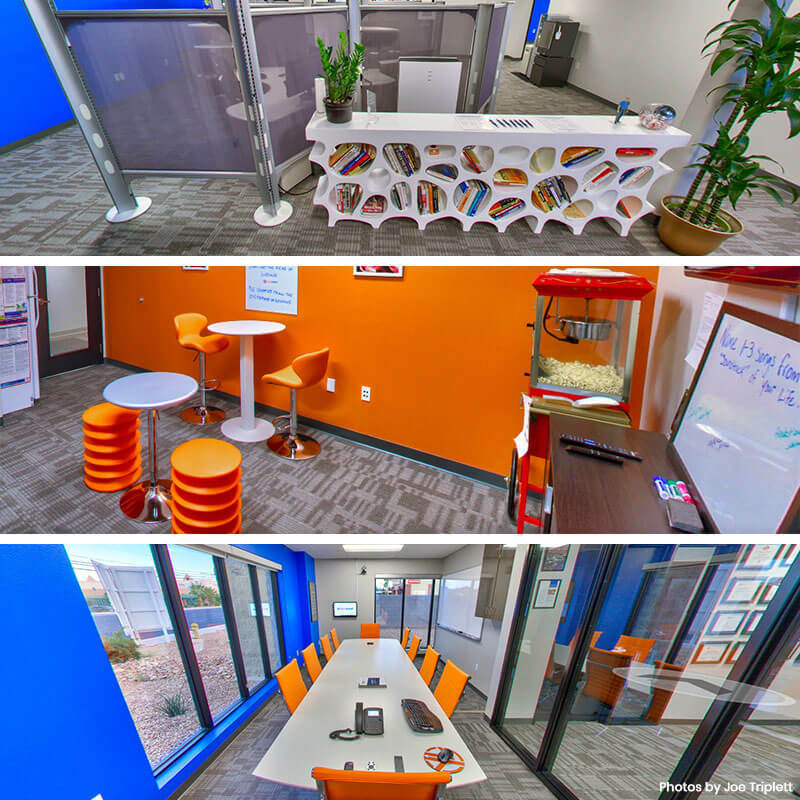 After months of searching our team moved to a new office in central Las Vegas between Sunset and Pecos. Our new location offers more room for our expanding team and allows us to rethink the space. We now have a conference room to hold the large meetings and events. We created a recording studio for future projects in podcasts and videos. We also now have a lounge for our team to relax after each big project. Our most significant achievement of 2018 has to be our newly revamped website. The world of digital marketing changes fast, and our old site was becoming a fossil. Our brand developer ShaDrena Simon and a team of web developers worked for several months to create the design. The new website has a fresh look, user-friendly navigation, and updated information about our marketing strategies. We wanted to give our clients the opportunity to know us better and demonstrate our digital prowess. The new website provides us with the means to offer our visitors quality content. 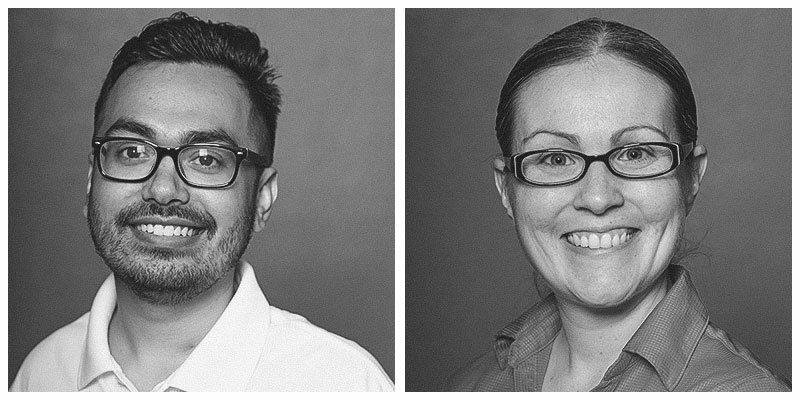 We welcomed Kane Sisomphou and Bree Schmidt to the Yokel Local Team! Kane, our social media manager, and graphic designer has been with us since 2013, but up until last year, he has been working part-time while in college. 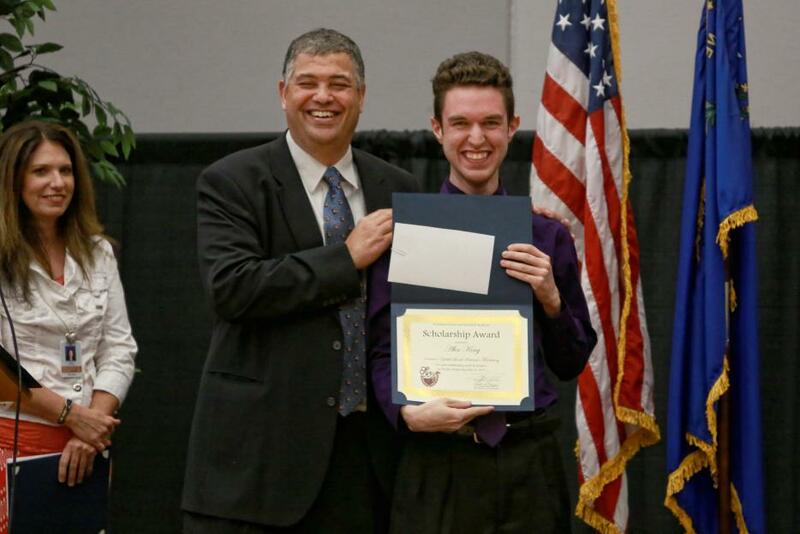 He graduated in May 2018 from the University of Nevada, Las Vegas with a Bachelors of Science in Graphic Design and Media. He now works with us full time to manage our client's social media platforms and to create social media strategies. We’re glad to welcome our new Search Engine Optimization (SEO) Specialist Bree to the team. She has the skill set and knowledge to boost our client's traffic and page rank on search engines. She does this by analyzing plethora of data and creating a sound strategy to improve and optimize websites. Since she joined the team, we have significantly improved our processes and what we can offer our clients. The year also inspired us to pursue passion projects. Our Co-Founder of Yokel Local Stormie Andrews and Yokel Local Education Director De 'Borah Fortune Stott started the Bizruptions Podcast. 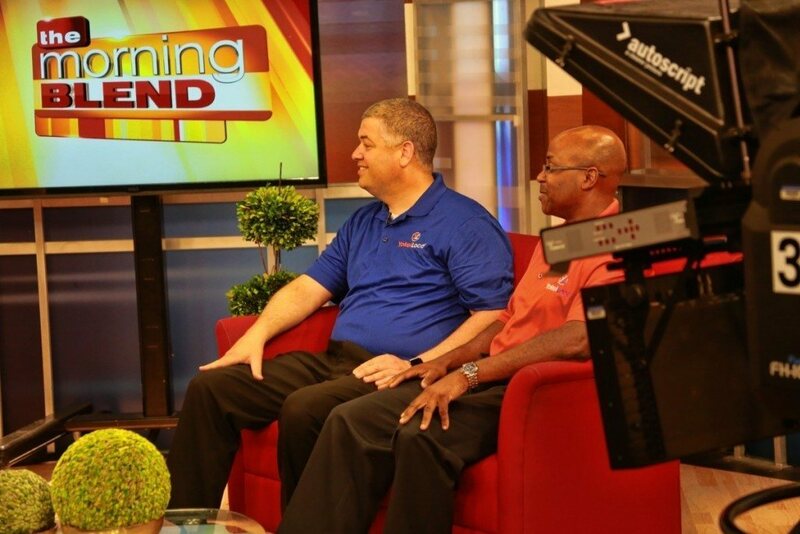 It is a weekly show where they talk about the disruptions in running a business. Each week they invite their friends to talk about their joys and struggles in their own business. They have a wide range of guests as well as courses where leaders teach solutions to common problems that plagued them. More than 50 experts have already contributed their own stories. You can listen to Bizruptions on iTunes or watch them live on Facebook every Friday. Yokel Local has been a HubSpot Agency Partner for four years, and we were the first Hubpost Gold Certified Agency Partner in the Las Vegas valley. 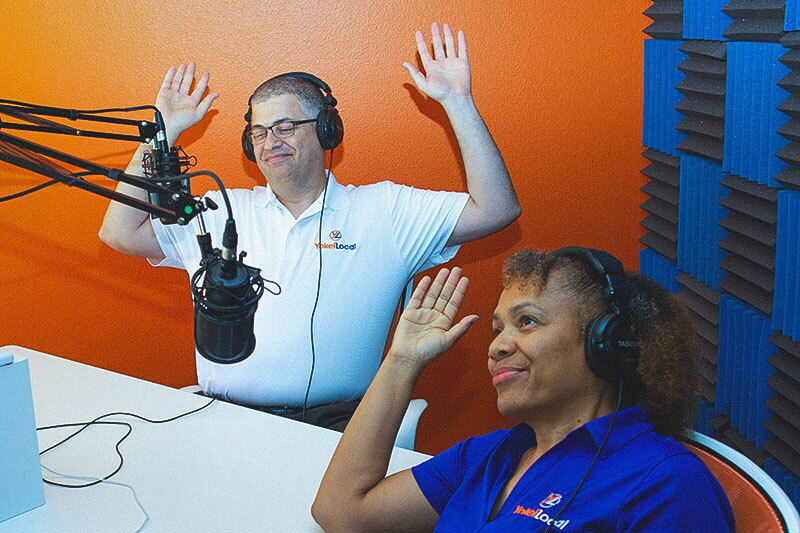 This year, we became authorized leaders of the first HubSpot User Group of Las Vegas, a community that supports HubSpot customers and other marketing professionals in the Las Vegas area. It is an honor to be chosen by HubSpot as representatives and thought leaders in the use of their software and the inbound methodology. In 2018 we hosted two meetings at our offices where HubSpot leaders, and Yokel Local experts spoke about the tools and techniques used in inbound marketing. We were honored to have Dylan Sellberg (Hubspot Product Manager) and Matthew Levinsky (HubSpot Customer Success Manager) talk at our events and share their industry insights. The group has fifty members and will continue to grow in the future. Our next HUG meeting is Thursday, March 7, 2019, 2:00 PM - 5:00 PM. You can RSVP by visiting vegashug.com! It's easy to get complacent about customer service and communication (even when you meet with a client every week). It's easy to get complacent about client acquisition. This client's retainer agreement was three times larger than our second largest client's. This meant that the loss hit our books much harder than it should've, and the pains associated with that would've been avoided with a more diverse flow of revenue. We're not going to lie, it was difficult to overcome this one, but so many opportunities have opened up in the wake of it that we would've never thought possible. Our new office gave us the opportunity to host events on our turf and let people see how we make digital marketing work. 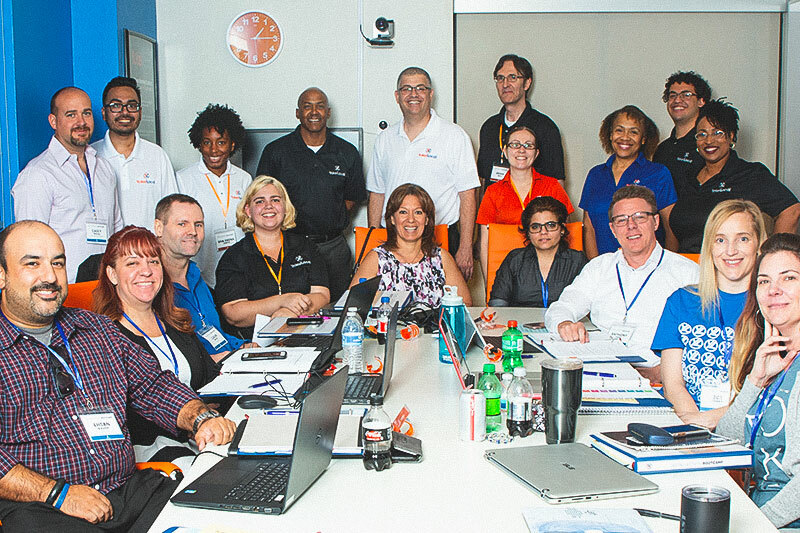 We established a two-day event where business owners can come into our office and learn from our experts. This crash course boot camp was created to educate business on how to implement marketing strategies right away and gain hands-on experience. 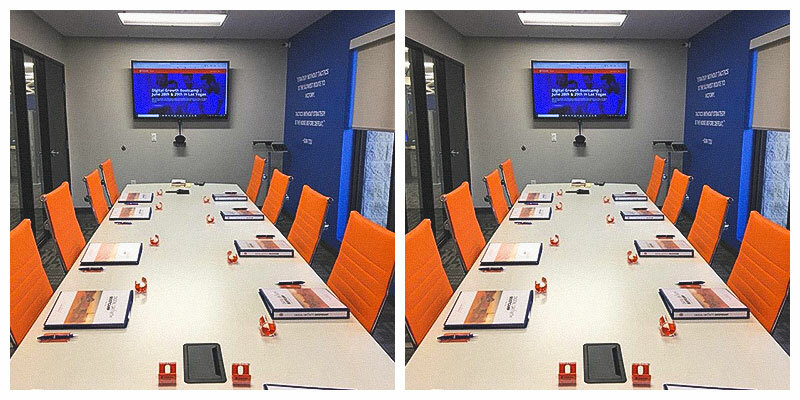 In 2018 we hosted two boot camps for 20 different industry leaders, teaching subjects from analytics, content strategy, and buyer personas. Towards the end of 2018, we decided it was time to engage with our clients and email list a lot more through weekly emails and blog posts. To make things a bit more exciting, we tracked and compared our individual email open rates and engagement. 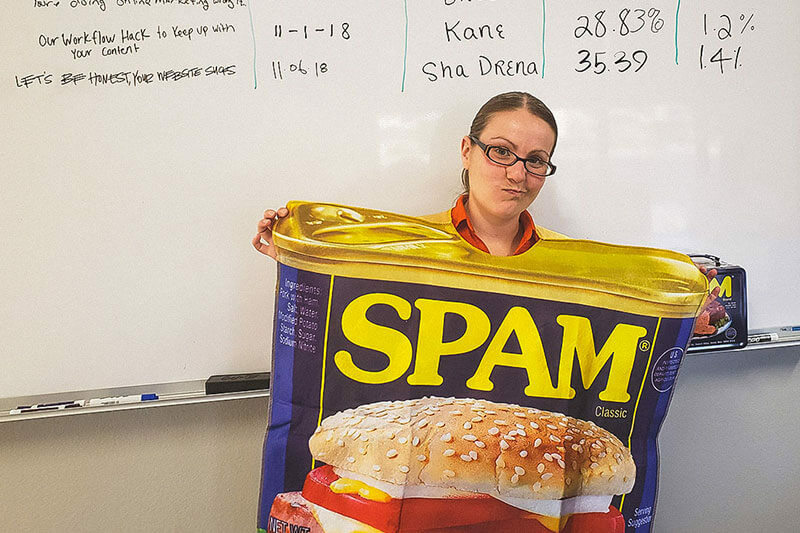 The winner, with the lowest open rate, gets to model a lovely SPAM costume. Yokel Local was featured in the newly published book by Daniel Tyre and Todd Hockenberry. 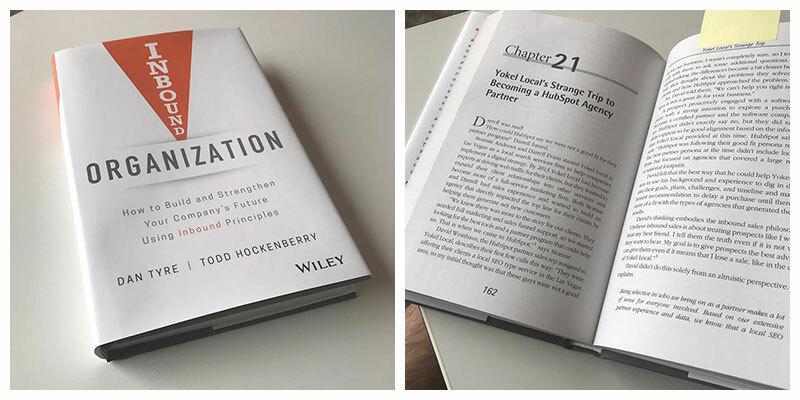 In Inbound Organization, Chapter 21 is dedicated to our strange trip to becoming an HubSpot, agency Partner. As a marketing agency, we have many partners that we rely on to accomplish difficult marketing challenges. This year we were fortunate to meet up with them and discuss our goals for 2019. In 2018 we became a Yelp Certified Ad Partner. Which allows us to sell and manage Yelp ads campaigns on behalf of their small and medium-sized business. We were fortunate to meet up with Yelp to celebrate this accomplishment. SEMrush is a powerful intelligence tool we utilize. Their team traveled all the way from Europe to train us on their tools new features. We also met directly with their product team to provide feedback on their upcoming services and products. 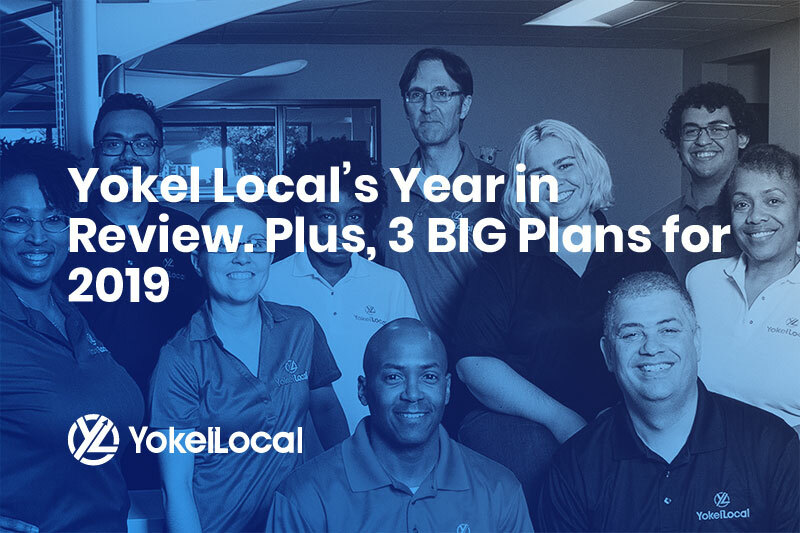 What's Next for Yokel Local in 2019? In 2019 we will be producing more content. A lot more content! Especially when it comes to videos. Starting this year, we will be creating daily video content for Yokel Local which you can find on our social media platforms like Facebook and Youtube. These videos have our team of talented marketers talking about their trade and providing tips and tricks that you can incorporate in your own business. With the massive success of Digital Growth Bootcamp our two-day crash course into digital marketing. We expanded upon the event and created a two and half day training series called Digital Growth Mastery. We provide even more practical hands-on training at our facilities. You can learn more about this event by visiting our course page. Later this year we will be releasing a book, edited by our very own Amanda Edens! The details are a secret for now but subscribe to our newsletter to hear about it first. Here at Yokel Local, we believe that we need to make each year better than our last. We're excited for what 2019 will bring to our team. Cheers 2018 and hello 2019.